Six individuals are facing various robbery and theft charges after carjacking two women Tuesday in Prince George's County, Md. According to police, officers responded to a carjacking in the 6700 block of Stanton Road in Landover at approximately 2:30 a.m. There, two victims said they were lured to the area by a woman they met online. When they arrived, the woman told them to pull into a driveway, when three armed suspects ran from behind a house and demanded the victims' personal property and car. The victims complied and were not hurt. The suspects are identified as 18-year-old Jose Aldes Barrera of the 4700 block of 68th Place in Landover, 19-year-old Devine Shields of the 6700 of Stanton Road in Landover, 18-year-old Delantae Stevenson of the 4800 block of Glenoak Road in Landover, 18-year-old Delonte Newell of the 4800 block of 66th Place in Landover and 19-year-old Marquise Buyck of no fixed address. All are facing charges of armed carjacking, robbery, theft and other related charges. 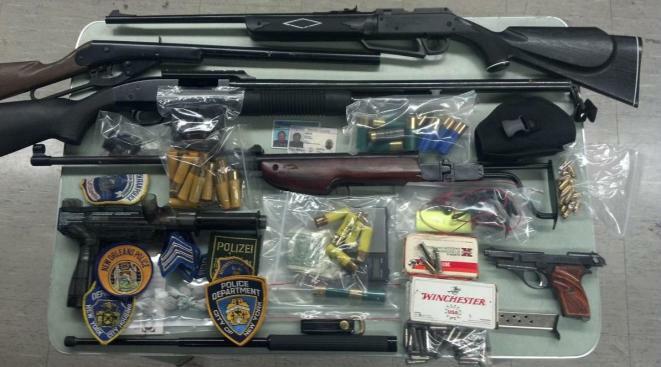 Police found weapons, drugs and ammunition during the arrest. “My outstanding team of robbery suppression detectives worked for nearly 36 hours straight to bring this case to a successful conclusion. Their untiring work ethic and attention to detail is indicative of their unwavering dedication to the citizens of Prince George’s County,” Capt. Harold Simms with Prince George's County Police said.